Figured I’d give an update. Darkness should be out in a few more days. Got my editor’s changes back, and some changes have to be made to the manuscript. It’s nothing too major, but in the end, the changes will make for a better book. Originally my plan was to release earlier this month. The set date was more for me so that I could make sure and get it out on time. I thought I could because Revelation was written in less than two months. If there’s anything I’ve learned it’s that every book is different, and that has definitely been the case for Darkness. In the end, the end product will be worth it. A few more days. My goal is to have it published by 12/31. I’m working nonstop, around my day job, to make sure it happens. Needless to say, I’m going to need a lot of coffee. Thank you all for your interest and patience. If it wasn’t for you guys I probably wouldn’t be inspired to work so hard. I made this announcement yesterday on my Facebook page, but I should have made it here as well. There will be a delay of about one or two weeks in order to get Darkness out. The main reason for the delay is that it took a lot longer to write than I thought it would. I also had writer’s block for a good week where I wrote very little because I couldn’t figure out how to proceed, which slowed things down. I thought I could finish this one in two months easily because Revelation was done in about the same amount of time. Anyway, I apologize for the delay, but I will have the book out as soon as possible. I finished the first draft of Darkness last night. I’ll admit, I am pretty behind schedule. I planned on being done with this at least last week, but writer’s block sneaked up on at about 30,000 words. I wrote myself out of it, but now I have a big mess to clean up in the editing process. I think all shall be well in the end, but it’s very hard to see getting this book out in 9 days, as the ticker to the side suggests. This may be a case where I’ve bitten off more than I can chew. I may give myself a little extra cushion next time just to be sure. Then again, I always work well under pressure. The draft as it stands now is about 63k words (about the length of Evolution). I plan on adding some extra scenes and goodness that may stretch that as long as 70k or even more words. This may, in fact, be the longest one to date, which would be pretty awesome. But that will make editing even more difficult. That said, I’m glad I finished this first draft up. This one was the hardest one to write, I think, must because so much stuff happened. Hopefully I can make sense out of all of it. 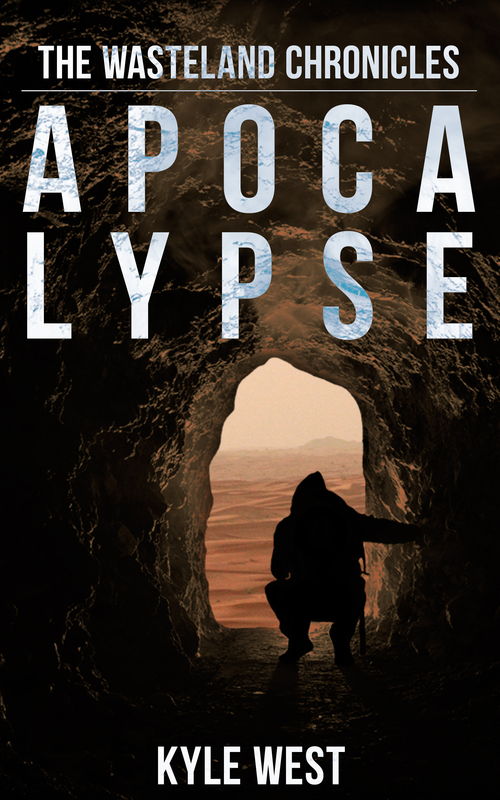 Exactly one year ago, I published Apocalypse. A lot has happened both with the series and in my life since that day. It’s amazing how much things can change in a year. It’s hard to ever imagine anything changing in the day-to-day-scheme of things. I’ve talked about publishing Apocalypse a lot before in previous posts, but…wow. I could have never imagined that the series would be at this point today. I have had a lot of fun writing it. I’m glad the adventure isn’t over yet, and there is still lots of crazy shenanigans to be had in the final three books – Darkness, Extinction, and Xenofall. These three alone will probably be longer than the rest of the series combined – especially the last book. It’s a tall order. Even as I’m getting better at writing, the bar keeps getting raised. I can never accept a book that’s not at least as a good as the last one, and hopefully better. I go through a lot of self-doubt when I write, especially because so many people are waiting for the next one. All I can do is write and do my best and take the story where it wants to go. I have no idea what a year from now will bring. The Wasteland Chronicles will probably have reached its conclusion by mid-year and I will probably be working on something new. BUT, I can see myself going back to the Wasteland because it’s a world I greatly love, and it’s a world I would like to develop more. There is so much nonstop action in the series that sometimes it’s hard to fit all the world on the page (such as what happened to other countries. I’ve thought about doing a prequel set during the Dark Decade, starring Alex’s grandfather). It would be interesting to explore things only touched on in the series, and there are so many possibilities for stories within this world. I guess only time will tell. All I can say is – thanks, everyone. The Wasteland Chronicles would not have made it this far without you. Alright…I’m dead tired. This was my first day back to work in ten days and I spent the whole day catching up on what is the busiest time of the year for our company. After waking up at 5:20 to write, working all day, running and eating, now I’m here, writing this blog, feeling like I could crash and sleep with no problem (especially when sated as I am with Panda Express). I’m not going to at least until I can get a 1,000 more words down, hopefully more. Though I had a ten-day vacation, I had an unfortunate case of writer’s block for most of it. Where I’d thought I’d be finishing the first draft, I instead only wrote 12,000 or so words. Thankfully I wrote myself out of the abyss, but that section is going to need some major work. I think I write best in that hazy part of the morning hopped up on coffee, and I spent most of my vacation waking up past 8 (which is very late for me). I think I’m less critical of myself in the early morning. There’s less going on in my head. There’s been no one to ruin my day, yet (just kidding on that one…I think). The vacation was kind of awesome. For the first time in probably three years, I had a lot of down time. I didn’t do anything crazy, but still, I think I spent it most very well. I saw family for Thanksgiving, friends, and sort of learned about myself as a person. I even spoke to a couple of classes at the University of Oklahoma about my writing experiences, which was crazy fun and awesome (esp. when the professor buys you pizza afterward). All in all, vacation was great, and I’m very happy I had this time to myself that was not necessarily all about the writing. I’m starting to realize, maybe for the first time, that I’m very happy with myself as a person. That might sound strange, but happiness has always been a real struggle for me. I don’t think it’s just seeing my dream coming true before my eyes (knock on wood), though maybe that’s part of it. I really do think I’ve learned and grown a lot over the past year. For a while there I felt like I was in a period of stagnation, but now, I’m starting to feel myself take flight. It’s a pretty awesome feeling. Even if things don’t always go my way and if I don’t understand why things have to be bad sometimes (how’s that for vague)…my revelation lately has been that I can be happy with myself, even when things aren’t great, which to me is the key to happiness. Writers are kind of notorious for being bipolar, but even so, I can be happy with myself. I can’t control others or my circumstances but I can control myself – and that is true freedom and happiness. I definitely feel like I’m a different person than I was a year ago. In three days, it will be the “birthday” of The Wasteland Chronicles. I published Apocalypse on 12/5/2012 and I will ALWAYS, ALWAYS remember that day and seeing that first trickle of sales (I think I got 6 on Day 1, mostly friends and family I’m sure, lol). A lot of stuff happened between then and now. I lost two jobs (one by choice, one not by choice). I wrote four books, and it will be five here in a couple of weeks. I made a New Year’s Resolution last year to write 6 books. I will have 5 of them published, and the other one is in draft form, but is non-Wasteland Chronicles. I learned how to better my craft and how to put my books out there. I’ve met some awesome people along the way. I even dated a little bit – and even if those didn’t work out in the end, they were good experiences and I learned about myself and about life through them and met some nice girls. I think the key theme is, I’ve been much, much busier now than ever before. I’m no longer wasting my life watching tons of TV or playing lots of video games. I’m finally at the point I want to be, and I love the feeling. I’ve always considered myself a shy and quiet person most of the time, except when around people I trust. I’m just not comfortable pretending to be someone I’m not or pretending to be happy when I’m not. I’m not one for masks and I always strive to be authentic in all that I do, which I think can throw people off sometimes. I don’t know, maybe not. Not sure why I’m writing all of this. I guess what I’m saying is…for the first time in a while, I’m okay with who I am. Isn’t that weird? So many people aren’t because we’re taught to listen to certain people when we really should be giving them the finger. Okay, now I’m rambling. I know I go on and on about writing a lot, so here’s a little window into the life and mind of Kyle West. For what it’s worth.